NHN Corporation, the operator of South Korea's leading internet search engine Naver, has launched a new desktop search tool designed to crush competition from United States rivals. The new service allows computer users to find files on their hard drives as well as on the internet using free software launched from an icon on the task bar of Microsoft's Windows operating system. 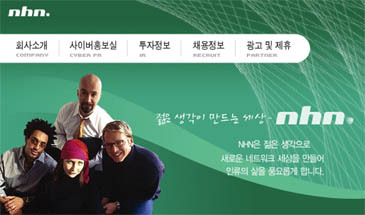 Naver controls nearly 60% of South Korea's search traffic by keeping global search engines such as Google and Yahoo! at bay. "The new tool will help NHN hold onto its turf against Google or Yahoo! which have struggled to boost their presence in the domestic market," said NHN spokesperson Lee Sang-Hoon. "With our new service, users will be able to save time and energy because they don't have to open separate internet browsers," he said. The global search engine market is dominated by Google and Yahoo! but NHN said new tools developed the key US players would not threaten NHN's domestic leadership. Google launched its desktop search product in October last year and Yahoo! plans to release a similar tool soon. Microsoft plans to integrate a desktop search system in its next version of Windows which will be released in 2006. "Foreign search engines are not popular in South Korea, a global IT powerhouse," Lee said. The internet business sector now relies more on search services to sustain growth and generate advertising revenue. NHN's total revenue jumped from 166 billion won ($158-million) in 2003 to more than 200 billion won last year, helped by its user-created content with Naver's question-and-answer type search engine. The above article is from Sapa-AFP.